Have you been scratching your head about EL84, EL34, and 6L6 Power Amp Tubes? Well, our most frequently asked questions about them are answered here. Power tube FAQ: What are power tubes? The first power tube FAQ, of course, is about what they are. Also known as an output tube, a power tube is an electrical component, very similar to a transistor, that is built inside of a vacuum-sealed glass tube. Inside the glass tube are a filament, an anode, and a cathode. The cathode is heated by a filament which frees electrons, allowing them to flow through the vacuum to the anode which creates a current in the tube. Another component, called a control grid, is placed between the anode and the cathode, and it looks like a mesh or screen. By adjusting the voltage applied to the control grid, you can control the flow of electrons. A negative charge will completely block the flow of electrons, allowing the tube to be used as an on/off switch. A positive charge will allow electrons to flow through, and just a small increase in voltage to the control grid has a large effect on the number of electrons that pass through and reach the anode. This allows the vacuum tube to work as an amplifier. Power tube FAQ: How do vacuums work in amplifiers ? As we read in the last question, a vacuum tube is itself a mini amplifier. A tube guitar amplifier will generally use one or more tubes in its design, depending on how much power the amplifier is meant to output. It will generally use something called “preamp tubes” to boost the tiny voltage from the guitar to a more usable level. This signal will then pass though any tone and effects controls before it reaches the “power tubes.” The power tubes then amplify the signal again to drive the speaker cabinet. Power tube FAQ: What is the main disadvantage of vacuum tubes? The main disadvantage of tubes is that they wear out and can be expensive to replace. Replacing the power tubes often requires the user to manually set the Bias which can be potentially dangerous, and does require some basic knowledge of what to do. Another disadvantage of the vacuum tube, is that it uses a lot of power and creates a lot of heat. Besides being very inefficient and costly to operate, the heat created requires proper ventilation and care to prevent overheating and even fire. They are also made of glass which makes them fairly fragile, and if the vacuum seal gets compromised the tube is no good. You might also like this HumbuckerSoup article: What is the Difference Between the 12AX7, 12AT7, and 12AU7 Preamp Tubes? Power tube FAQ: Why is a tube amp the best-sounding? There are essentially three types of amplifiers: tube, solid-state, and something new, called digital modeling. All of these types of amps have good models and bad. Digital modeling amps especially, are brand new and getting better every day, but 100 years after its invention, many people still consider the tube amp to be the best-sounding amplifier. The main reason tube amps sound better is distortion, and the way tubes handle a signal that has reached its limit. Any type of amplifier, once it’s pushed past its limits, will begin to distort and “clip” the signal, which is another way of saying the amplifier chops off any signal louder than a certain volume level. A tube amp does it in a way that’s smooth and sounds pleasing to the ear. Digital and solid-state distortion sounds very harsh and is unpleasant to listen to. This is because the max level on solid state devices is absolute, while tubes are a little more gradual. It’s important to mention that we’re not just talking about the distortion effect. Guitars are very dynamic instruments, and even when playing clean, certain frequencies from them can often hit the limits of the tube. This constant clipping, and the tubes reaction to it, is what leads to what’s known as a “warm” sound that you do not get from solid-state or even digital electronics, which have a much harsher and more “cold” sound. Another reason that tubes are preferred, is that many guitar players are picky about running their instruments through too many electronics. 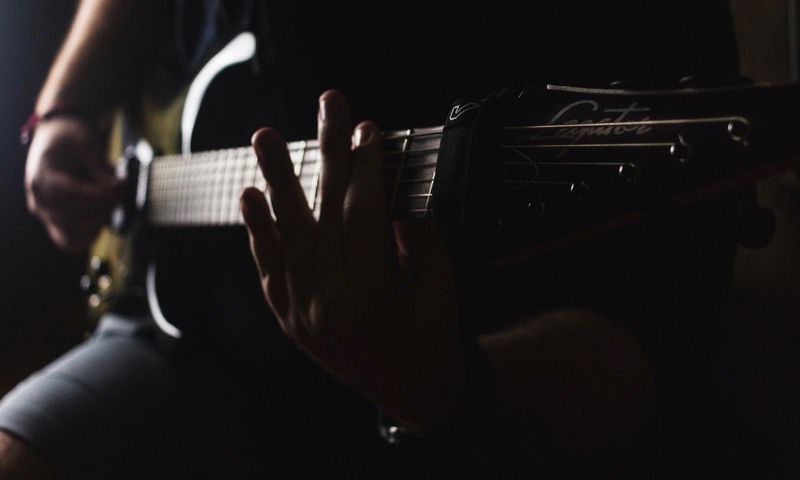 Guitarists like to have as few components as possible, between the guitar and the sound you hear, to preserve the instrument’s natural tone. The tube amplifier is a very simple piece of gear, only consisting of the tubes and a few other parts. Digital and solid-state electronics use many, many, components to do the same job, and they often use even more components to try to emulate a tube sound. One final reason people like tube amps better is because music has been recorded using tube amps since the beginning, and the sound of a tube amplifier is the sound that we have come to expect to hear. Power tube FAQ: What is the difference between the transistor and the vacuum tube? Made from silicone, the transistor is a modern form of the vacuum tube. Transistors can do all the things that vacuum tubes can do. They can work as a diode, a voltage-controlled on/off switch, and as an amplifier. A transistor’s design makes it the preferred choice to replace tubes in almost every application, the primary tube holdouts being audio amplifiers and microwave technology. For this reason, vacuum tubes have become almost obsolete. Transistors can be made very small, and there can be many thousands of them in a device like a computer. They are cheap to build and buy, they create less heat, they run on tiny amounts of electricity, and they almost never go bad. They also work faster. A computer made with transistors will be faster than the same computer made with tubes.